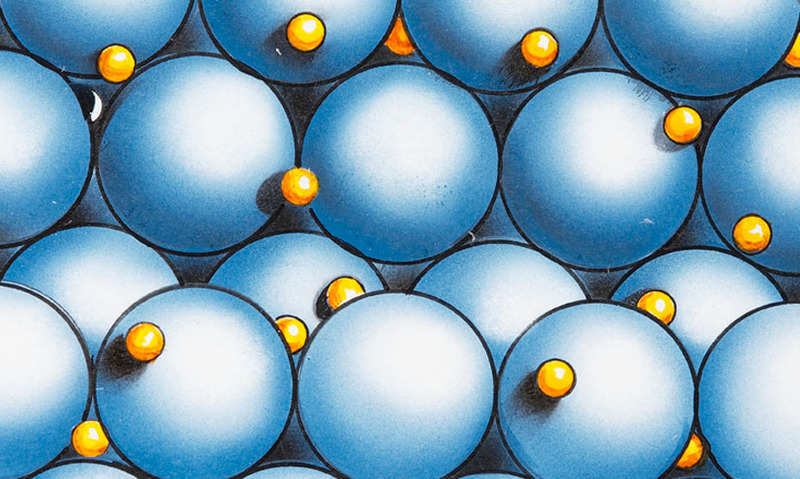 In a metal, each metal atom readily gives up its outer shell electrons, resulting in a sea of free electrons flowing throughout a lattice of positively charged metal ions. In a metal, each metal atom readily gives up its outer shell electrons, resulting in a sea of free electrons flowing throughout a lattice of positively charged metal ions. It's these free, delocalised electrons that give metals many of their useful properties, for example conducting electricity and heat. It's these free, delocalised electrons that give metals many of their useful properties, for example conducting electricity and heat.